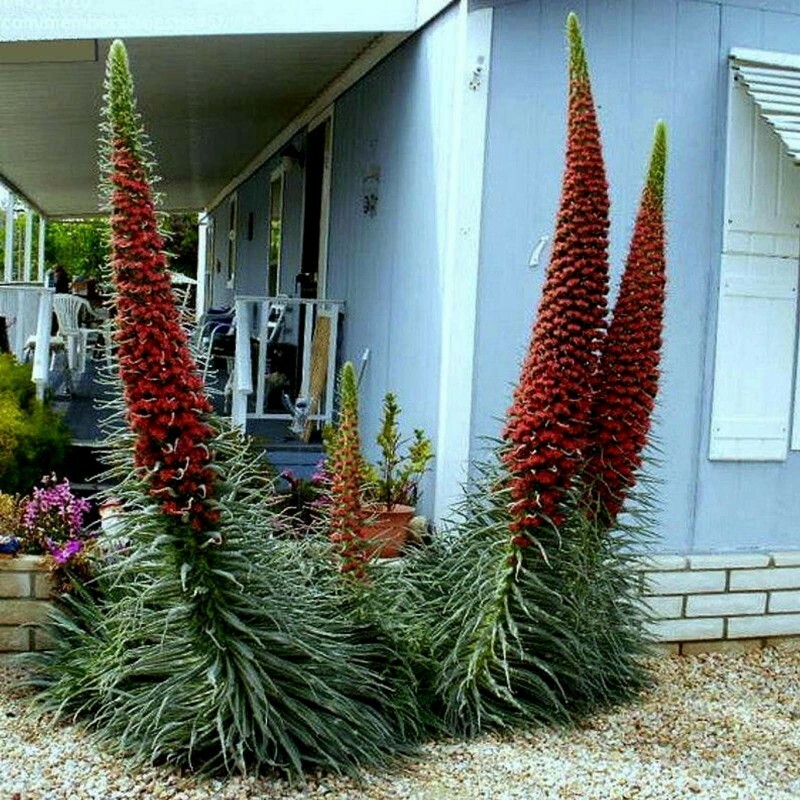 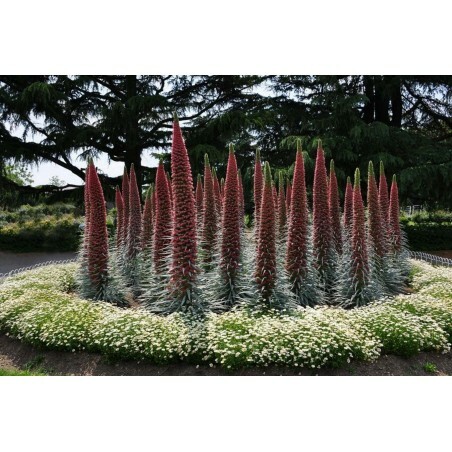 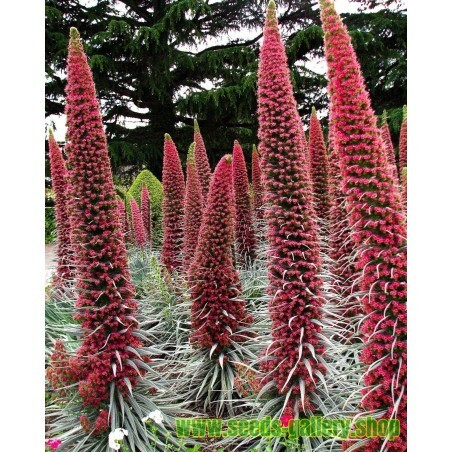 Echium wildpretii is a species of flowering plant in the family Boraginaceae. 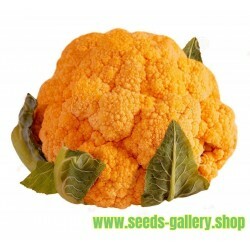 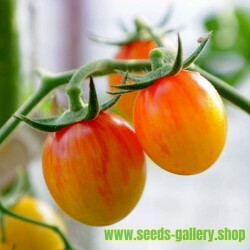 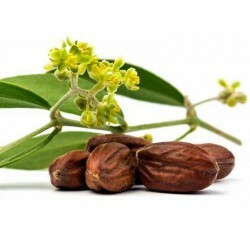 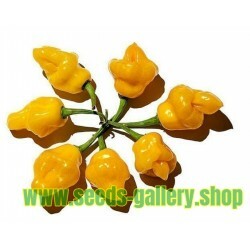 It is an herbaceous biennial plant that grows up to 3 m (10 ft) in height. 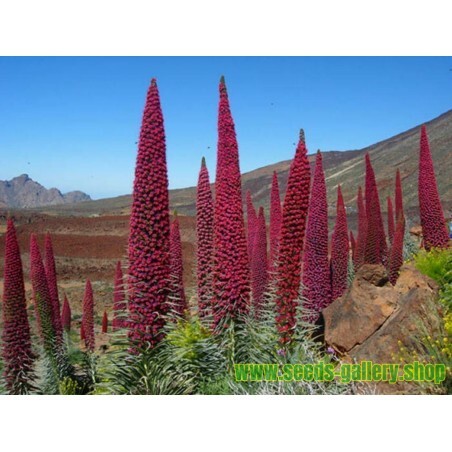 The nominal subspecies is endemic to the island of Tenerife, and is found mainly in Las Cañadas del Teide. 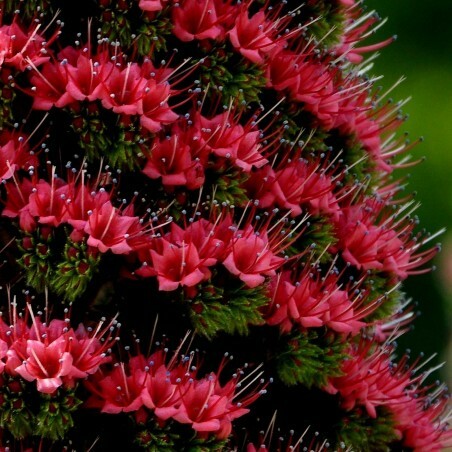 The subspecies E. wildpretii subsp. trichosiphon occurs at high altitudes on La Palma. 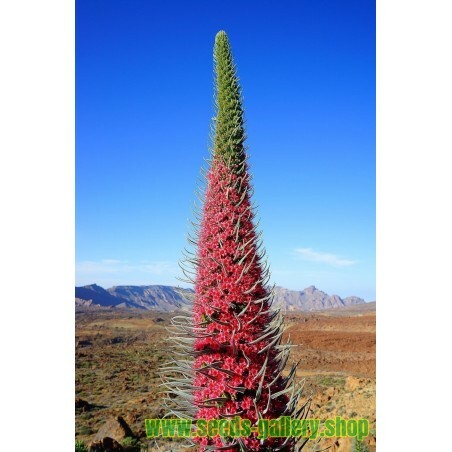 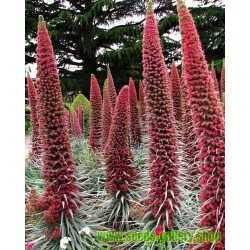 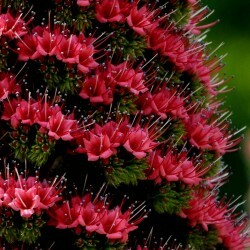 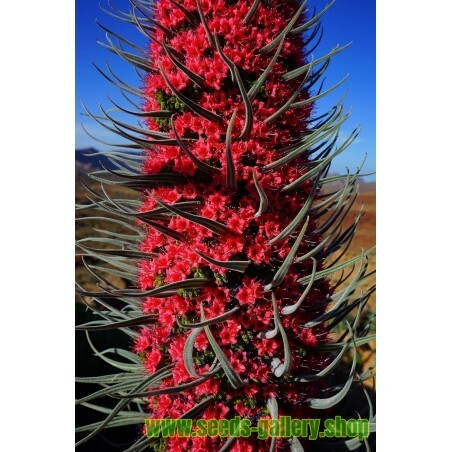 The common names are tower of jewels, red bugloss, Tenerife bugloss or Mount Teide bugloss. 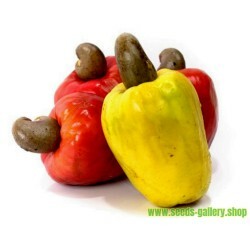 The Spanish name for this plant is tajinaste rojo. 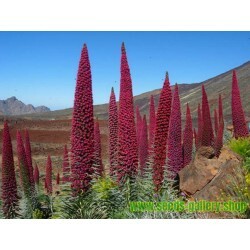 The plant grows in the subalpine zone of the ravines of Mount Teide. It requires a lot of sun and is found in arid and dry conditions, but it tolerates frost down to -5 C.
It is a biennial, producing a dense rosette of leaves during the first year, flowers in the second year, and then dies. 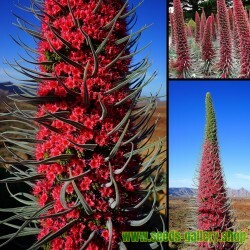 The red flowers are borne on an erect inflorescence, 1–3 m (3 ft 3 in–9 ft 10 in). 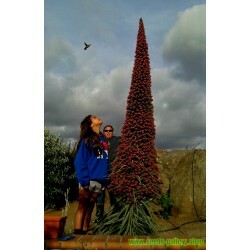 The plant blooms from late spring to early summer in Tenerife. 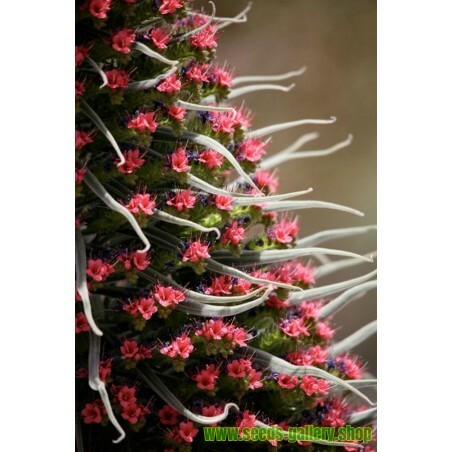 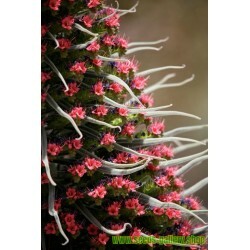 This plant can be found as a garden ornamental but is intolerant of low temperatures, thus some winter protection is required in frost-prone areas. 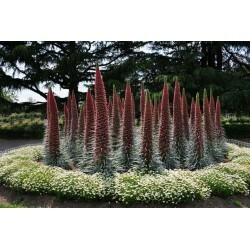 It has gained the Royal Horticultural Society's Award of Garden Merit.